emissions inspect performed on time and main inspection performed on time??? Does anyone know how to remove this?? I'm surprised no one has found the solution to this and posted it. 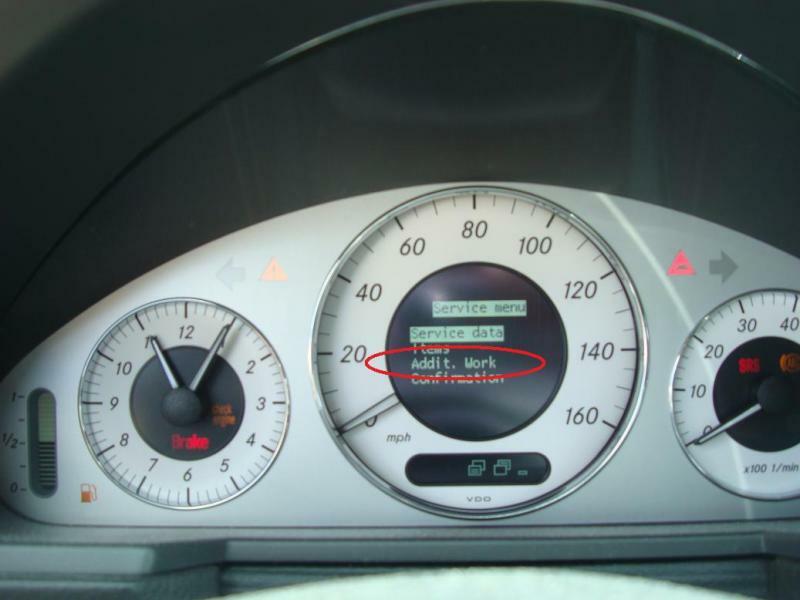 I have the same exact problem on a 2004 E320. Yet I've reset it without problems on a 2005 E500. Ok so I finally figure it out. I got a pm from konigstiger that I needed to cancel the service and confirm each, line to line. I cancel the services but did not see the line to line confirmation for each available. Last edited by health services; 04-19-2010 at 01:40 AM. Go to the service menu. Last edited by health services; 04-19-2010 at 01:39 AM. Scrow up or down with (+) or (-) to the lines you want to cancel. hit the left outer loer button to the comfirmation page. Last edited by health services; 04-19-2010 at 01:38 AM. I guess the later model cars have a similar menu. Afterwards hit the left outer upper button to back out of the screens. Last edited by health services; 04-19-2010 at 01:37 AM. A few toys & 07' E350 4matic w/AMG sport packg. Does anyone know what I gotta do to see what services I need to do on my 07? I tried the tap three times thin it sid nothing. Take a look at your maintenance booklet. It tells what is required for the service intervals. I'd like to see what the car says it needs. I've done it once before but I don't remember how. For what year is the attached FFS Schedule? Does anyone know what the average yearly mileage for driving a vehicle? I thought it was 15000 or 20000, but am being told by a car salesman (not my favorite profession) that it is only 12000 or 13000. Help anyone know ? am i missing something bc i still have not seen how to reset the fss after service performed at an indy mechanic. i have an 06. Reset Computer if oil change is required due to time, not mileage? I just bought an 06' E320 CDI with 20,000 miles. Additional items: 1, 2, 3, 5, 8, 9, 10, 12, 16, 20. My question is, seeing as the oil by mileage is meant to be changed at 13K mile increments, my current mileage is only 20,500 miles.....so do I reset the computer once I change the oil, fuel filter, and combination air filter? or do I wait until it hits 26K miles before I reset the computer? Thanks everyone for sharing so much on this forum. I have saved a lot of money doing most of the service DIY with the help of a DIY friend who has a shop with a lift. 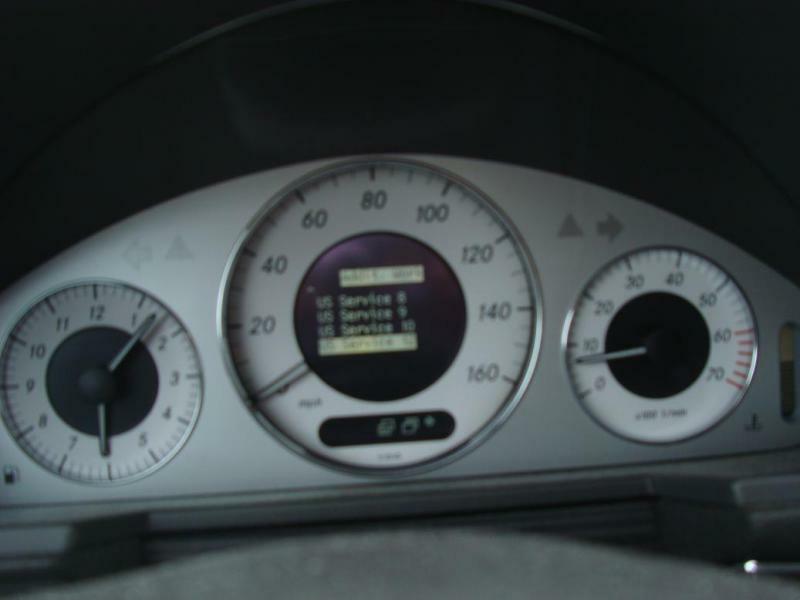 On my 2006 E350 4-matic, I had to start from the outside temp display instead of the mph display. Otherwise, the procedure to access the service menu and confirm service on a 2006 worked just fine. Apologies if this isn't the right place for this question. I have done a search for this info on the forum, without much success. I have a 2006 E350. 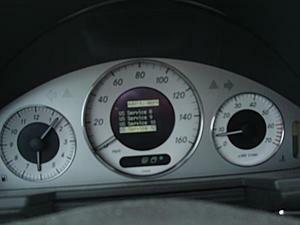 Am getting the low battery message in the instrument cluster. Someone on the list said that this means it's time to replace both batteries. I discovered that the batteries at the dealer are about $700. Has anyone found another source for these batteries? Thanks, and please direct me to the right thread if this is the wrong one. Hi, try reading this first. Batteries can be bought at Wallmart or Sears. I had a small leak at the AT pan and it was fixed with a new gasket. In doing so , new atf and filter. 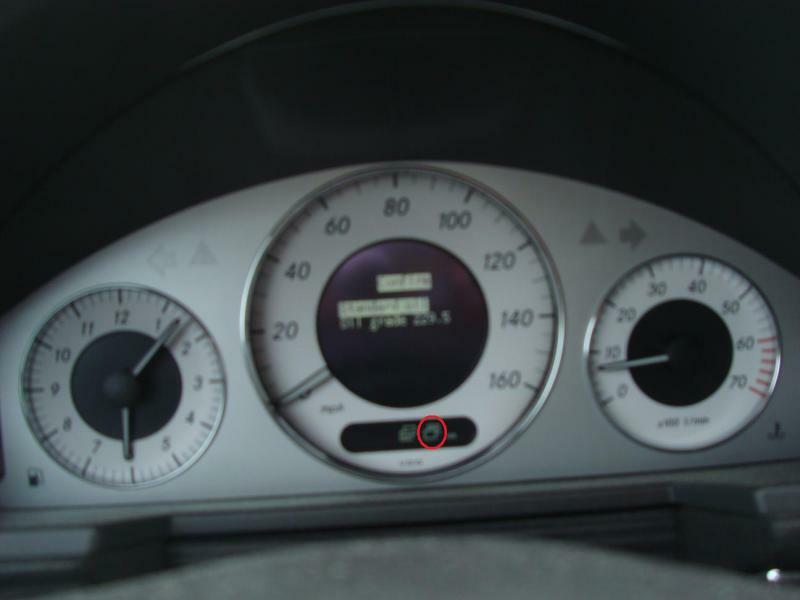 Mechanic put in Febi 22806 with MB approval on it indicating it meets MB 236.10. Am I OK with this? What is not clear to me is what this info means when you call it up. Question 1: If I click on "items" and it lists the numbers of the services that it needs, let's say in this case 3,9,12 and 13 come up. 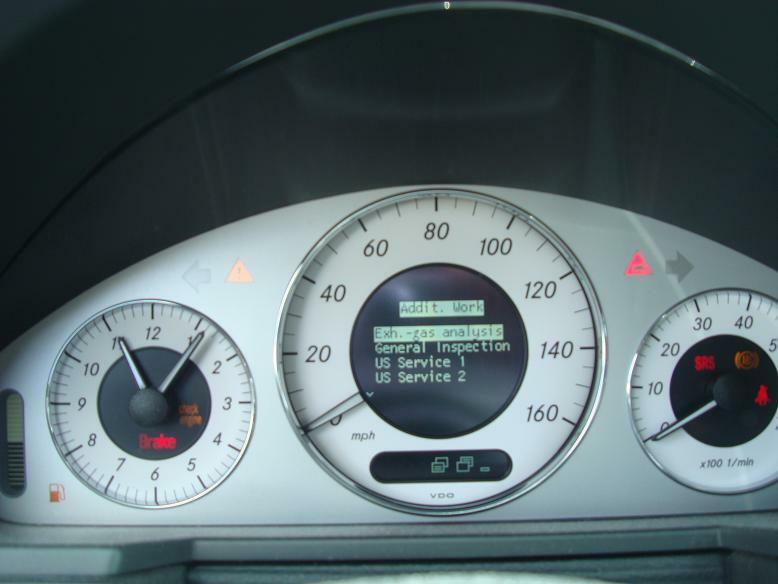 So let me be very specific here, my 2007 E350 is due for service C in 11,450 miles, I know this because it's what the says when I scroll up from the temperature screen. So does this mean that service 3,9,12, and 13 are due in 11,450 miles? I think the answer is yes. Question 2: If so, lets say I change my oil and filter myself, can I go in and tell the FSS system I did this and will it delete the 12 from the item list? If so how? This is where I get lost. From my research I believe you can't indicate to the FSS system that you performed just one service, you must reset the entire system by doing a confirmation. 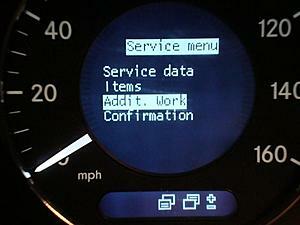 Or am I wrong and can you go into the confirmation option and confirm that you performed just service 12 (oil change). And could I do it individually for the others if let's say I wanted to perform them myself before service C (in 11,450 miles) rolls around. Question 3: If you go into the confirmation option, you get several options. One of them is "delete confirmation". I'm I correct in assuming that this is a way that if lets say you by mistake confirm a service item, this allows you to delete that confirmation? Or does delete mean that you are deleting the item from the list which would be telling the FSS that that service was performed? All of this may not be clear, but could someone that is very familiar with FSS, goes through this SERVICE MENU and explain what you can do, and why you do it, and explain it as if you were explaining it to an 8 year old and use a lot of examples. Many thanks to that person. In order to know what to reset you will have to find a Service Sheet for you car, then you just folow it. This is for mine, hope it helps. Some items ar on the list but you can not comfirm them because is not time or miles are not up. 1. Mine says "Exh Gas Analysis" I did a search and couldn't find a good explanation? Can someone please tell me what this means? 2. When you confirm something, does that mean it erases it? I figured out how to go to each item and it gives me the option to confirm. If that's how you delete them when the service is complete, then I'm good on that part. 3. Can someone recommend a good online source for OE parts. Preferably in the Western US so shipping is faster and cheaper. I would like to avoid dealer costs as much as possible. I read a lot on this site prior to purchasing one, so I appreciate all the great information on here. Thank you! From what I can tell, a lot of people know how to access the FSS and how to reset it doing a full confirmation (reset). What I believe most people don't know is how it actually use the FSS system to its maximum benefit. The reason I say this is because there are some many helpful people going to such extraordinary lengths to document so many other issues by making videos on You Tube, picture threads here on this site, etc. Yet, no one has gone into detail how to navigate the FSS system in detail. All they do is show how to access the service data on your car and then they stop. Why not go thru the process of what each screen means, how to confirm, what confirming means, etc. The FSS system seems to be a very popular issue, yet it is the least explain area on all the forums. If someone who knows the in's and out's of the FSS system stepped up and went to the trouble to produce a video or thread, I believe it would be one of the most viewed posts on this forum. 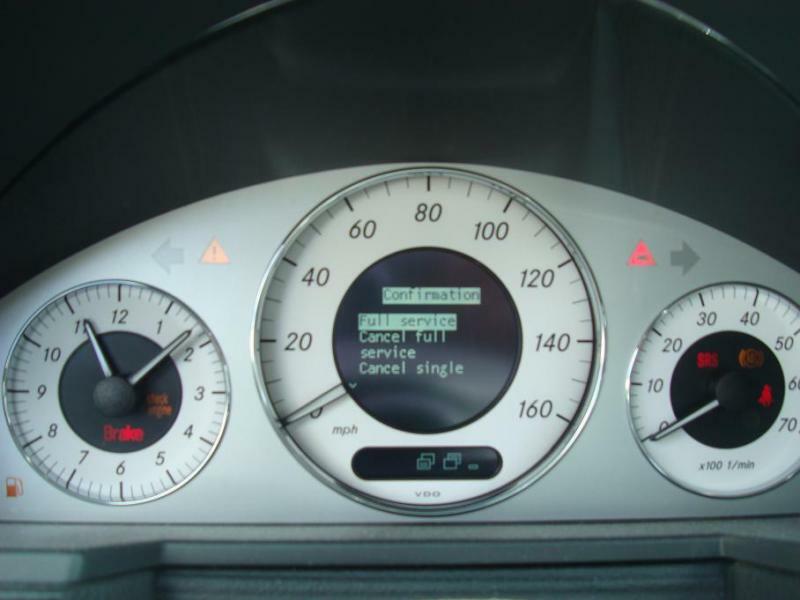 the generally accepted figure was 15,000 per year but more recently it has been upgraded to about 18,000 per year since cars seem to be lasting longer and running better with high mileage. 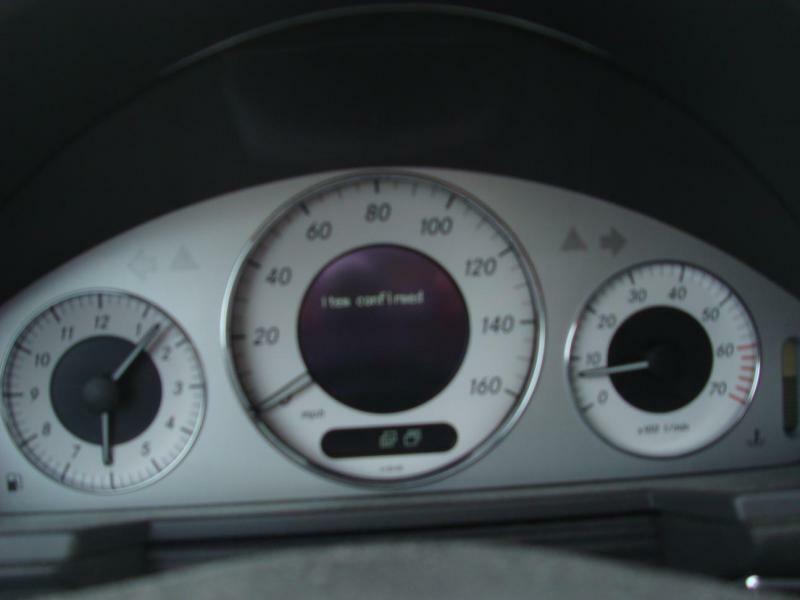 Those figures are given as a way to estimate the stress the car's been put under. For example, a car with 9k yearly miles probably has less wear and tear and will be better taken care of than a car with 20k yearly miles (sometimes just the opposite, because more services are performed). It's another dealership gimmick to give you less money for your trade usually, if you exceed that generally accepted 'norm'. Note variants of 722.9 are not compatible and cannot be mixed.